Over 57,000 People Just Heard the Gospel in California. Now What? 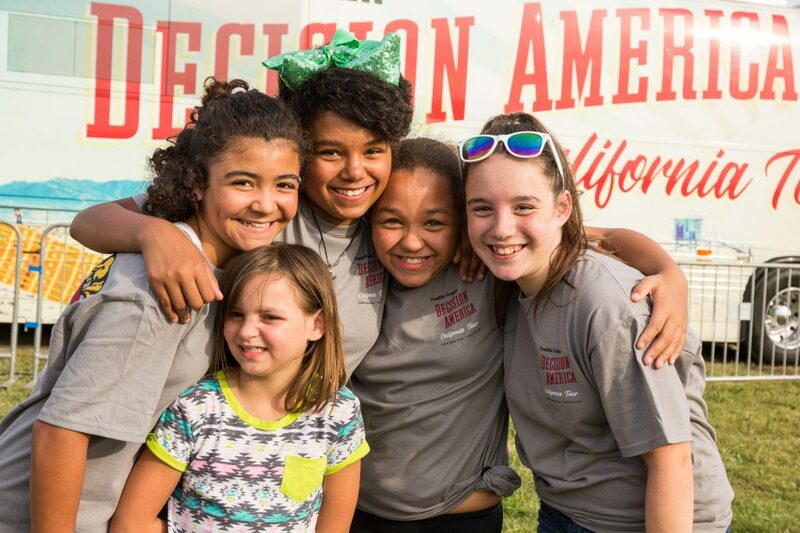 From May 20 to June 5, the Decision America California Tour reached an estimated 57,000 people across the Golden State with the life-saving Gospel. 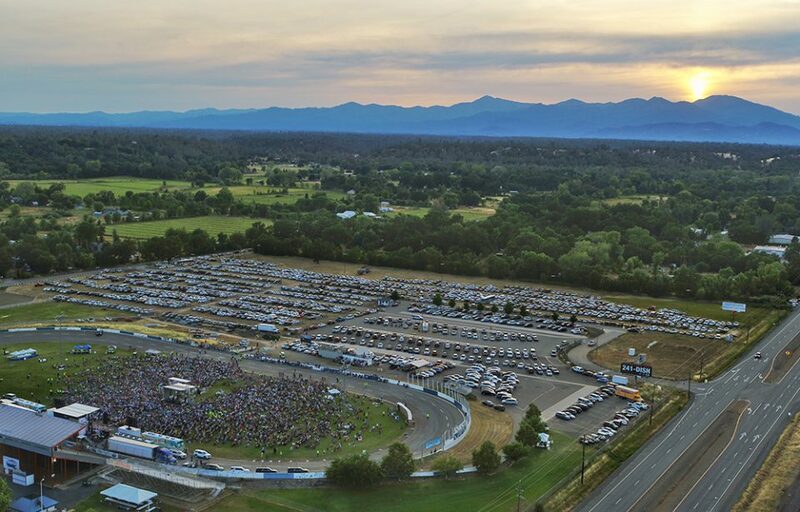 The last stop in Redding drew over 9,000 people to the Shasta District Fairgrounds. Whether by Winnebago, motorcycle, wheelchair or stroller, they got there—over 57,000 people who left their homes in California the past few weeks to spend an evening outside praising God, holding hands in prayer and learning how to represent Christ in their communities. 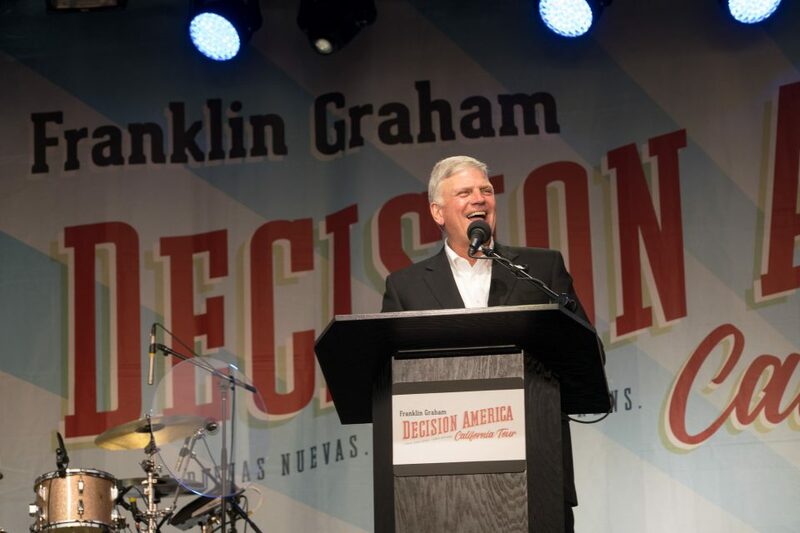 For months ahead of the Decision America California Tour, Franklin Graham shared how excited he was about speaking life and hope over this state. That’s exactly what he did over the span of 17 days and 600 miles, from the sparkling blue-green water of the So Cal coast to the endless golden fields backed by mountain ranges up north. >> See photos from each of the 10 stops on the Decision California Tour. The tour ended Tuesday in Redding, and now the testing begins. What now? How could this tour change the future of California and all of the United States? Deborah Williams starts college this fall and said after the tour, she wants to be more courageous in her faith. 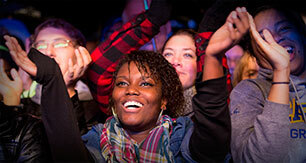 “I just want to tell more people about Jesus,” she said at the end of the night in Redding. The sun set over Redding as thousands sat, listening to Franklin Graham talk about Jesus. That’s the kind of fire Nancy Clark said she hopes is kindled across California as she prays others will have “a pure desire for relationship [with God].” When people are unafraid to stand firm in their faith, Christ is glorified and blesses those who put Him first. Early in the tour, Franklin Graham told Californians that their response to Christ could sweep the nation. It’s been said that “as California goes, so the nation goes,” and if Californians continue moving closer to Jesus, it could have a domino effect on the rest of the U.S., he shared throughout the tour. The last stop of the Decision California Tour fell on Election Day in California. Franklin Graham encouraged all present to be in prayer for each new leader. “He is just plowing the ground that would have been too hard if he hadn’t come,” Terri Palmquit said from the front row of lawn chairs in Redding. She and her husband, Tim, visited every fairground, park, amphitheater and even the Rose Bowl lawn, following the California Tour on all 10 stops from Escondido to Redding. They even slept in their car for one night on the road. “It’s just thrilling to see what God is doing through him,” Tim Palmquit said about Franklin. The couple live in Bakersfield, stop four on the tour, and as parents of 11 children, are thrilled to see Franklin take a stand on abortion and other controversial issues of today. With 12 grandchildren, Franklin Graham said “I shudder to think what America’s going to look like for them,” and urged any in the crowd to “fight for” the next generation. “We need Christians with tough skin,” he declared. The first step in having a fighting faith is to be sure your own life is right with God—a message Franklin took to every stop, including Berkeley where, according to the Barna Group, only about one in five people say they know Jesus personally. By the end of the tour, he had challenged tens of thousands of people across California to weed out the sin in their lives, and hundreds stood among the crowd as a sign of their decision to welcome Jesus into their lives. The omnipotence of God met with hearts surrendered to Christ could yield great things for California in days ahead. After all, anything is possible when God is at the helm. “We know it’s not difficult for You,” Franklin prayed as the sun set over Redding. The Decision America Tour picks up in August across the Pacific Northwest. See how you can get involved in Oregon or Washington.